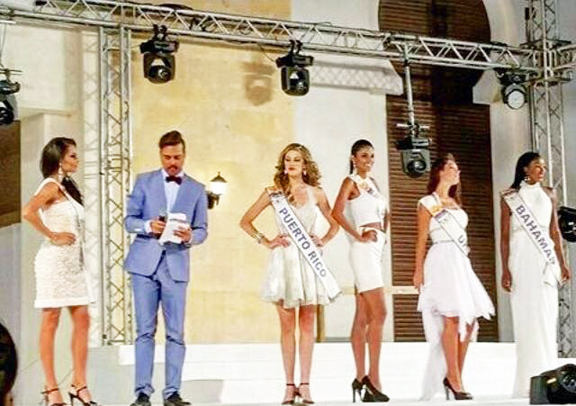 Ukraine's Elena Kosmina won the 2015 Top Model of the World held in El Gouna resort in Egypt on September 4th. Her court includes 1st runner-up Celeste Marshall of the Bahamas and 2nd runner-up Irene Velasquez of Venezuela. Kosmina's prize package includes US$10,000 and a modeling contract with Time Models based in Zurich, Switzerland. Completing the top 17 were the delegates wearing the sashes of Brazil, Puerto Rico, Isla Del Coco, Baltic Sea, Spain, Honduras, Zambia, Canada, Argentina, Caribbean, Colombia, Malta, Mongolia and Trinidad & Tobago. Special awardees were the delegates from the Bahamas (Best National Costume), Puerto Rico (Best in Evening Gown), Italy (Miss Photogenic), Canada (Best Body), Brazil (Miss Globe), and Baltic Sea (Queen of Europe). and actor Héctor Joaquín Colón-González.